It’s a big day for Amazon’s EC2 cloud computing service today. 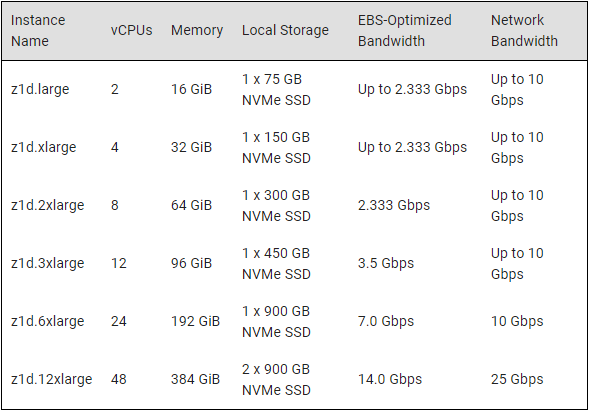 Not only can you now run EC2 inside a Snowball Edge device, but the company also announced a bunch of new EC2 instance types in the cloud. Thanks to these new instance types, developers now have access to a new instance type (Z1d) with custom Xeon processors that can run at up to 4.0 GHz, as well as new memory-optimized instances (R5) that run at up to 3.1 GHz and that feature up to 50 percent more CPU power and 60 percent more memory than their predecessors. There also are some bare metal variants of these instances, as well as an R5d version that features local NVMe storage.